Put the records on the shelf because music streaming platforms are the new way of playing your favorite tunes. According to Statista.com, music streaming revenues are going up while album sells are declining and there seems to be no sign of slowing for either. We wrote this article to do a couple of things. We want to showcase some of the best in the category of music streaming services. 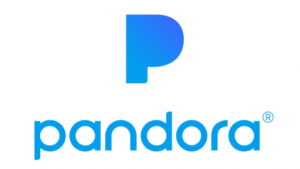 Music streaming services offers you the ability to search for any song ever made, listen to related artist and even add it to a playlist for organization. This is a great way to broadened your musical taste! Absolutely the most used app on my phone – any song anywhere and anytime! Why we picked it: The usability is excellent! The entire platform across all systems has great features and is very user friendly. Spotify also has a feature for Podcast lovers. You can get your podcast and your music in the same place – makes things easier! What we have to say: The Quality of Sound is what makes Tidal stand out from the rest of the competition. This makes sense considering the company CEO is American Rapper, Jay-Z or Shawn Carter. Besides Apple Music, Tidal is the only streaming place to find the masterful works of Mr. Carter. Side note, they have a music video feature. What we have to say: Apple music is fantastic as aiming to be the very first when it comes to having new hit albums before the other guys. Basically, if you are familiar with Apple products or you are just an Apple fan, then this platform is just for you! Side note, they music videos just like Tidal. What we have to say: We haven’t messed around with YouTube Music that much but with over 30 million songs in their database, it shouldn’t disappoint. What we have to say: Not an Amazon brand guy and we have not messed around with this service yet! Free with ads. Premium plans are available. What we have to say: This app is for that music fan who enjoys Indie and discovering new artists! What we have to say: Why is SiriusXM so great? If you are already a fan of SiriusXM Radio, then you know that having over 165+ commercial free radio stations to choose from is overwhelmingly amazing! What the On-Demand package will get you is access to any of those 165+ channels with the addition of on-demand episodes. These episodes are clips of the channel that can be replayed anytime after their original air date! If you have SiriusXM in the car then you can jump from your car radio to your smartphone without missing a beat. Side Note – if you have the SiriusXM All-Access package ($20.99 per month) then you have access to over 175 channels plus the on-demand service. What we have to say: Pandora has long been the radio that plays similar songs, however they have recently developed a 40-million track, on demand streaming platform. What we have to say: With the Plus Plan, you can play any song with over 10 million to choose from with unlimited skips. You can also save songs to playlists. With the All-Access Plan you get all the above plus the ability to save songs to an unlimited number of playlists for offline play. You have unlimited access to millions of songs! Copyright © 2019 COBO MKTG. All Rights Reserved.